Shiza Hassan Winter Bridal Dresses are launched with the name Aroos-e-Abrashami it’s difficult to pronounce which can be understood by looking at the dresses. Shiza Hassan has launched luxury type of winter bridal dresses which may seem to be summer bridal dresses but these are made from thick fabrics so women can enjoy winter bridal parties and occasions in luxury outfits. 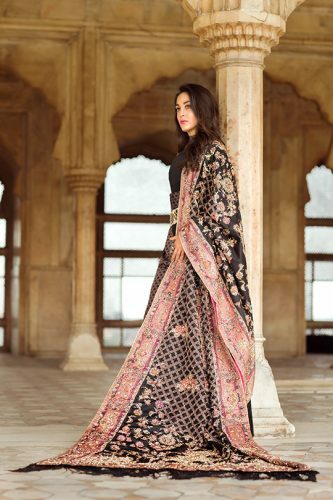 Dresses are inspired from the traditional bridal artwork of Indian and Pakistani wedding wear but dress designs are completely new and modern these are the mix of traditional wear and modern designs of formal dresses. 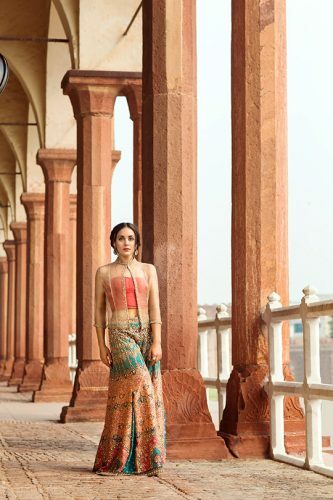 Shiza Hassan is one of the famous names in Pakistan fashion industry most of her work is based on luxury formal wear and bridal dresses.This is the first time she has experimented with some traditional plus modern designs which are bit luxury and fancy too. 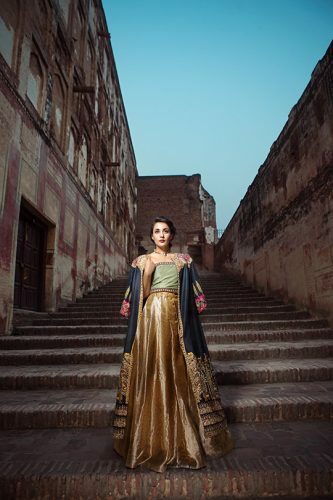 There are many types of wedding wear in Pakistan some are the bit more traditional and some are modern some designers combine both of them like you are seeing the images this is what Shiza Hassan have done in her collection. Currently, it’s the winter season which is the best time to have or enjoy the wedding ceremony whether you are a bride or a guest who is going to attend the wedding ceremony all of these designs are suitable for you but these are best suitable for the new brides. Color combinations are different that depends on the type of dress as these are wedding dresses so red and light colors will be used more which are always seen in South Asian wedding wear. This is one of the boldest and modern fusion collection launched for this season you should definitely check the complete Shiza Hassan Winter Bridal Dresses image gallery and leave your comments about the dresses.